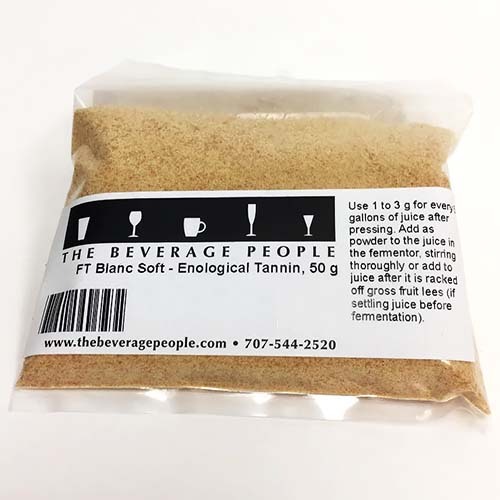 FT Blanc Soft is a tannin product used to balance wines that will potentially be a little harsh, such as wines with a TA on the high side, those with a rough tannin profile, or wines that seem too dry. FT Blanc Soft will lend a softness and fuller mouthfeel which can be perceived as a mild sweetness. This product is not limited to grape wines, any fruit or honey based wine which needs an added softness to come into balance can benefit from FT Blanc Soft.